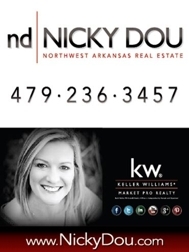 Gorgeous Home for sale in Valley View Golf Course in Farmington, AR! Mountain & Golf Course views... 11394 Clubhouse Parkway! Whirlpool tub, cultured marble, walk-in shower with seat & custom lighting in Master Bathroom. New 5 Lane Road to Fayetteville - Almost complete! & only 7 miles to the University of Arkansas!